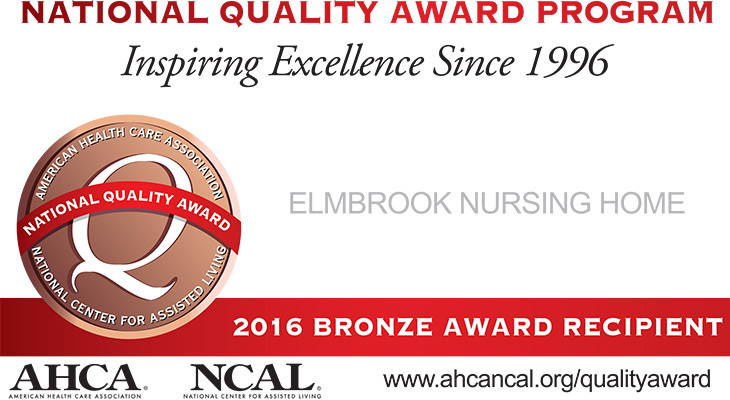 Ardmore, OK – Elmbrook Nursing Home has been recognized as a 2016 recipient of the Bronze – Commitment to Quality Award for its dedication to improving the lives of residents through quality care. The award is the first of three distinctions possible through the National Quality Award Program, presented by the American Health Care Association and National Center for Assisted Living (AHCA/NCAL), the leading association for long term and post-acute care. The program honors providers across the nation that have demonstrated their commitment to improving quality of care for seniors and persons with disabilities. Click here to read more. Rhonda Shirley, Administrator, Glynna Marlett, DON (Director of Nursing).